Carissa is a former international badminton player and a qualified Sports Massage Therapist. After a successful career representing her country as a junior, she later went on to represent Wales at a senior level, earning 42 caps, including appearances at the 2010 Commonwealth Games in Delhi and the 2014 Games in Glasgow. During her playing career, she won a number of European titles as well as 10 National Championship titles. It was whilst competing at top-flight level that Carissa began to appreciate the benefits of Sports Massage and how important the weekly soft tissue treatments that she received were in aiding her recovery after training and matches, keeping her body competition ready. After retiring from playing Badminton at an international level, Carissa began studying towards a Level 3 Diploma in Sports Massage Therapy, qualifying in 2017. She continued her studies in 2018 attaining qualifications in Level 4 Sports Massage Therapy, Hot & Cold Stones Massage and Level 1 Dry Needling. As well as providing massage therapy for private clients, she’s has also provided treatments at Welsh Badminton’s junior training camps, for the Cardiff Devils ice hockey team and at the Welsh Athletics Indoor and Outdoor Championships. Her experience as an elite athlete means Carissa has an in-depth understanding and experience of the demands that sport puts on the body, something that allows her to use her skills as a Sports Massage Therapist in a highly effective way. 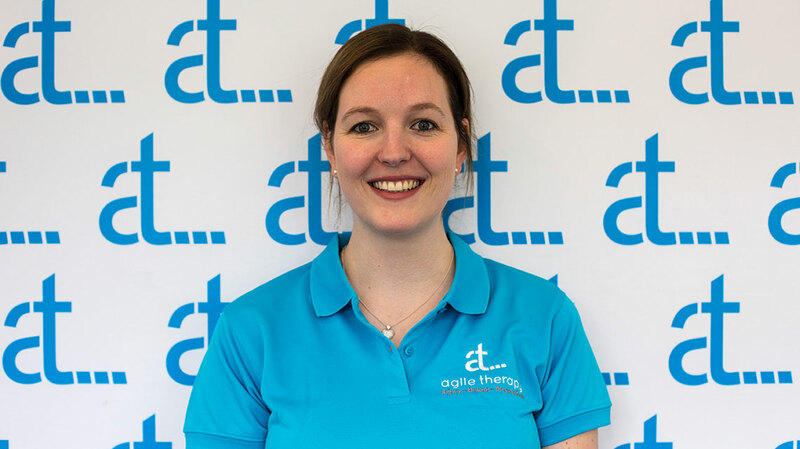 Carissa began work as a Sports Massage Therapist at Agile Therapy in March 2018. Since starting to work with us her clinic quickly became busy and we’ve even managed to get her to sign up to compete for one of our associates, the Cardiff Panthers Aussie Rules Football Team! You can book in with Carissa on Monday evenings and every other Saturday morning. Book an appointment online with Carissa.